AWS Lambda is the serverless computing service aimed at powering up applications. 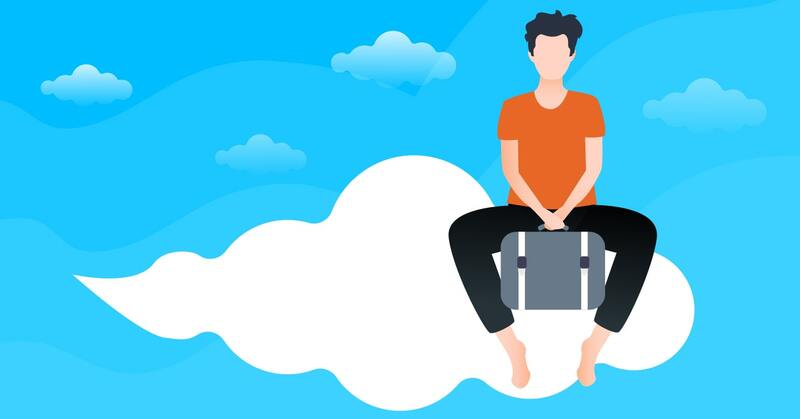 The cloud architects and developers can use this service for various use cases, and we list them below. AWS Lambda pricing model is “pay as you go”, so the customers pay only for the computing resources used. This makes the service very cost-efficient, not to mention a free trial period. 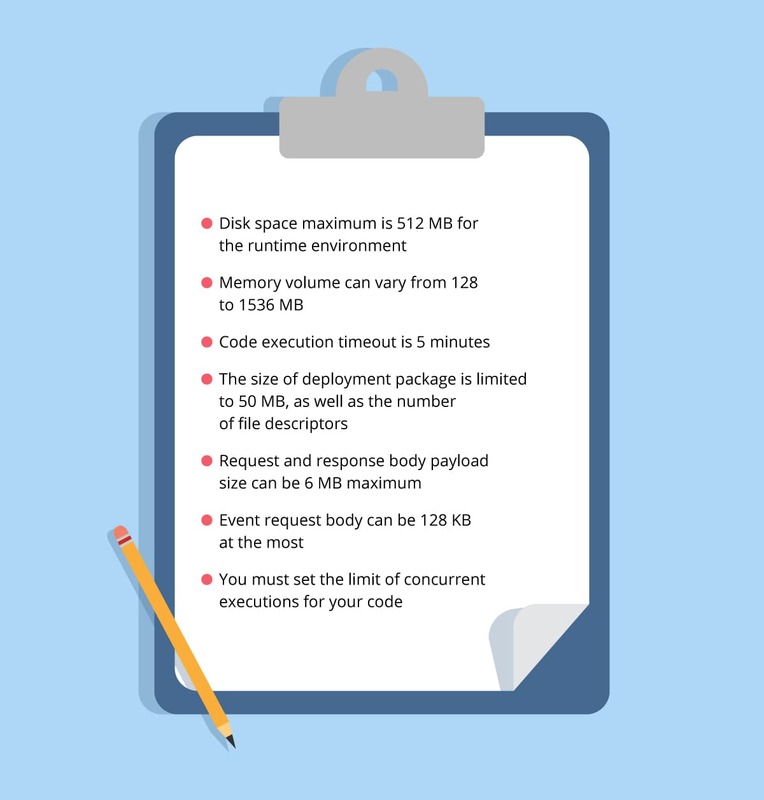 In fact, the users pay for the used memory, the number of processed code requests and the code execution time rounded up by 100 milliseconds. Just compare it with the hourly EC2 billing rate and witness the granularity and level of control available when using AWS Lambda. Instead of 24/7 availability common for IaaS, PaaS and SaaS cloud pyramid layers, AWS Lambda is event-driven. The code executes only when it’s needed and consumes zero resources when not triggered. Obviously, this is a huge benefit for applications that are quiet for a long time and then have to meet the demand for resources during the peaks of usage. Lambda has a setting called the “Number of concurrent requests”, which allows it to scale nearly instantly to a huge number of parallel code execution processes. Downscale is as simple — the unneeded functions stop running automatically once the code is executed. The developers can use a variety of programming languages with Lambda: Java, Python, Node.JS and other languages through open source frameworks. There are also tools for even more convenient and fast code deployment, namely Apex, Serverless, and Sparta. Is Lambda perfect then? Well.. not quite, due to some architecture-based limitations. Lambda limitations… or are they features? 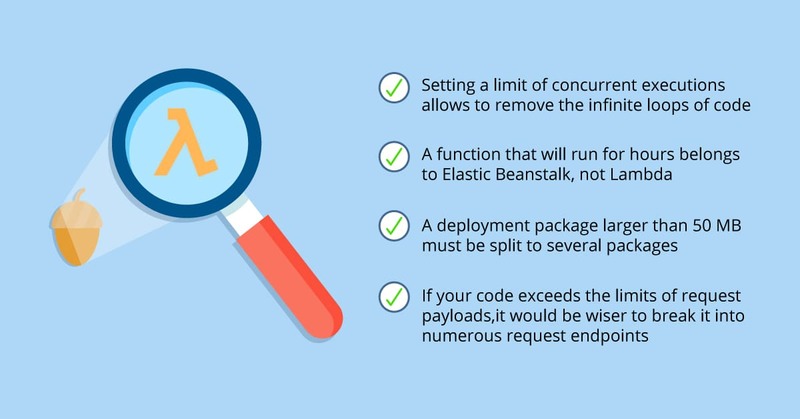 As you can see, these limitations are actually features of AWS Lambda that prevent using the service to deploy monolithic applications. Such an approach empowers the intended way of using Lambda — for running collections of event-driven stateless microservices. Below we list 5 most prominent use cases of serverless applications with Lambda. Isolate your Lambda functions, website code and databases from other networks by setting up an AWS VPC peering. 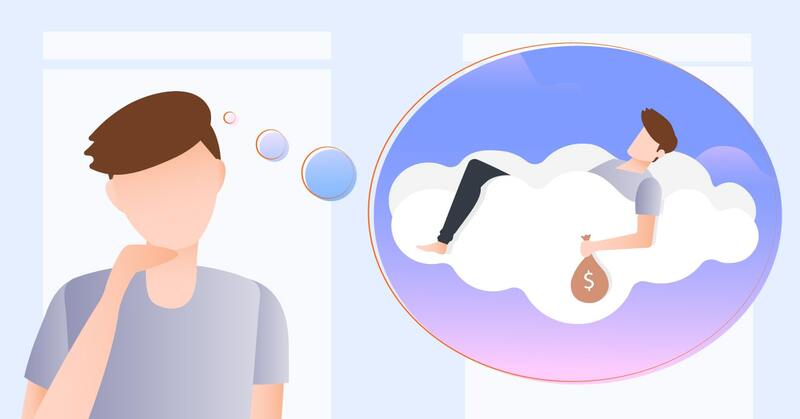 As the system components like Lambda, S3, and API Gateway work under PAYG pricing model, you will pay only for the resources actually consumed by your website, not for renting a server to run 24/7 and remain unused for prolonged periods. You do have to pay for database maintenance on the fixed rate, yet the savings will be huge overall. Just imagine building a Lambda function to harvest the logs from AWS Cloudtrail or other logging apps like Cloudwatch. Lambda watches for the specific triggers and log entries, invoking an SNS notification once such things occur. These notifications can also be easily sent to Slack, Jabber or support systems like Zendesk by calls to their API endpoints in Lambda. 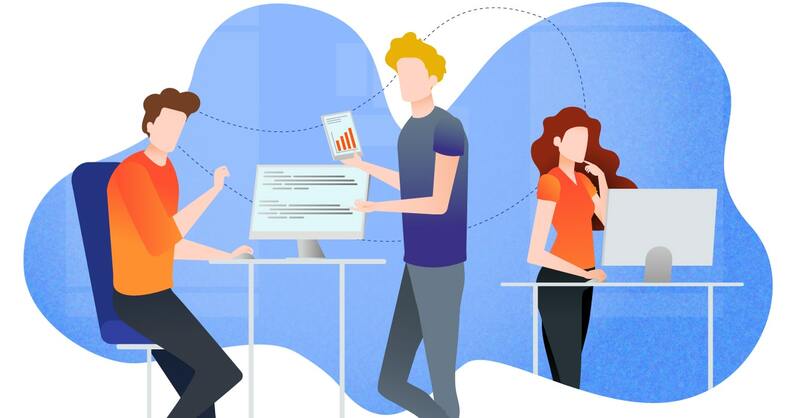 Lambda functions can be called on schedule, turning it into a perfect automation tool for repetitive tasks like checking for idle resources, creating backups, generating reports and performing various other routine jobs. Just use boto3 Python libraries and get rid of mundane admin work forever! If you setup Lambda to listen for S3 event notifications, it can perform any processing of objects stored in S3 buckets. For example, one might use this for image thumbnail generation without the need to worry for sufficient resources, because Lambda scales as much as needed. Your website backend must not be the source of interruptions for end-user experience. Lambda can parse the visitor’s input for storing it in a database (or process the input in any other way) while the website renders the next page! The input data will be sent to the required database or application and used in due course, while the visitor enjoys the seamless website experience! 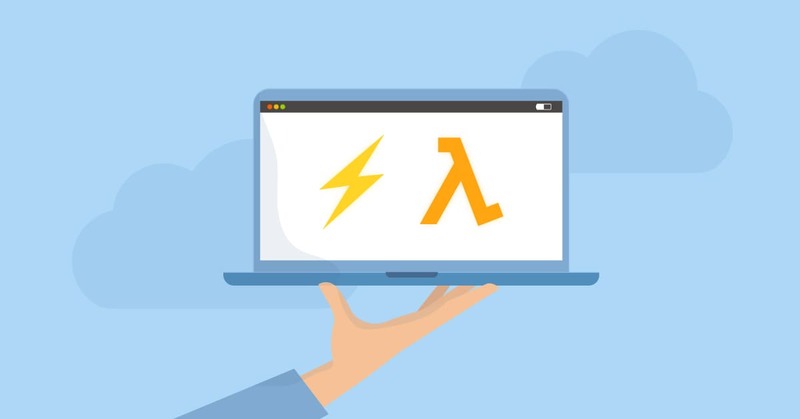 AWS Lambda can and should be one of your main go-to resources for handling repetitive or time-consuming tasks, along with the other heavy-lifting jobs of the data-processing world. It frees your main online services to focus on high-priority frontend tasks, such as responding rapidly to user requests, and it allows you to offload many processes that would otherwise slow down your system. 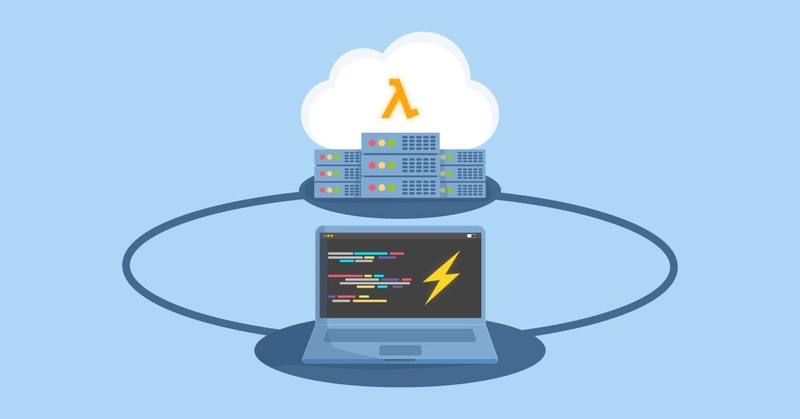 Should you need to have your IT infrastructure configured to use serverless computing with Lambda — feel free to contact IT Svit. 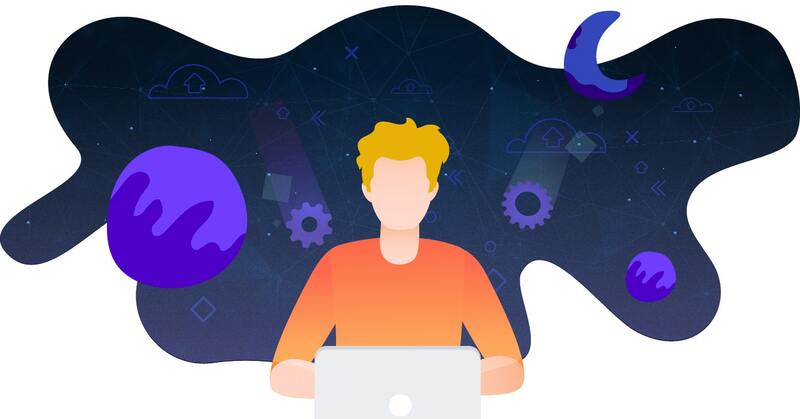 As one of the top-15 MSPs worldwide, we have ample experience with enabling serverless applications based on AWS Lambda.